I am a Principal Fellow/Associate Professor in the Melbourne Graduate School of Education at the University of Melbourne. I also hold a continuing post in the Centre for Learning, Innovation and Professional Practice at Federation University Australia where I teach logic and reasoning and academic literacy. Previously, I was Associate Professor and Director (2009-2014) and Honorary Fellow (Economics) at the Williams Centre for Learning Enhancement, Faculty of Business and Economics at the University of Melbourne. Prior to that I was a lecturer at Monash University. I was lecturer and Visiting Scholar in Philosophy at the Flinders University of South Australia from 1996-2002, and taught Philosophy at the University of Adelaide and the University of Edinburgh. I have published six books and 90+ scholarly publications most in peer-reviewed journals. 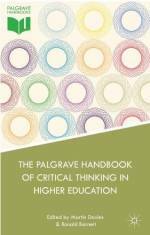 My most recent book is an edited collection (with Emeritus Professor Ronald Barnett from the Institute of Education, London) entitled The Palgrave Handbook on Critical Thinking in Higher Education. This was published in April 2015. It received a 5 star rating on Amazon and is presently undergoing a review symposia in the journal Inquiry: Critical Thinking across the Disciplines. I have been an editor for a number of journals in education. See my Publications page for details. I also offer an educational and academic consultancy service (see Services). I am married and have one son. My extra-mural interests include modern jazz and baroque music. I used to play classical guitar in the Melbourne Mandolin Orchestra in a previous incarnation. Certificate IV (Electronic Publishing); BA (Deakin); BA (Hons) (Flinders); RSA CELTA (Cambridge); PhD (Flinders); GradDipEd; PhD (Adelaide). Download my long (academic-style) CV here. Download my short (corporate-style) CV here. My Google Citations Page is here. My PhilPeople page is here. My Academia.edu, Twitter, Facebook, Linkedin and ResearchGate accounts are at the bottom of the page. I am interested in hearing from graduate students and researchers about potential research synergies. Associate Professor/Principal Fellow in Higher Education, Melbourne Graduate School of Education, The University of Melbourne, and continuing part-time appointment in the Centre for Learning, Innovation and Professional Practice, Federation University Australia. My research interests are at the intersection of Higher Education and Philosophy. Editorial Board: L. J. Shedley and J. S. Beaudry (Eds. ), Cases on Teaching Critical Thinking through Visual Representation Strategies. (2014) Advances in Educational Technologies and Instructional Design Series. Hershey, PA: Information Science, IGI Global. Chair, Organising Committee, The Quantitative Analysis of Teaching and Learning in Higher Education in Business, Economics and Commerce Disciplines, Annual Forum, University of Melbourne (2005-2011). International English Language Testing System Examiner (2001–2003). Inaugural President, Mordialloc College Alumni Association (est. 2014, Chair of an 12-person committee dedicated to raising funds to support public education). Nomination for ‘Community Group of the Year’, services to education for 2016 and 2017 Australia Day Awards. Kingston City Council.